Lights, camera, action! 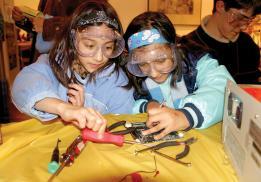 This year’s Invention Convention at Hagley Museum & Library features hands-on video activities, different science shows every day, and areas to create and tinker. Admission is $8 for adults, $6 for children between 4 and 14, and free for children under 4 and Hagley members. Lunch is available from the Belin House Organic Cafe. 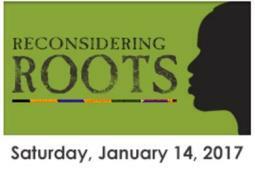 As part of the 40th anniversary of the broadcast of the original television mini-series Roots (1977), the Delaware Historical Society invites visitors to explore the meanings and memories of this milestone in the public presentation of black history. Carter Jackson’s presentation provides a framework for understanding the impact of Roots on interest in black family genealogy in the years since, as well as on interest in African cultural heritage and identity among black audiences, and interest in black history in the 18th, 19th and 20th centuries. Join the Delaware Children&apos;s Theatre for this vibrant musical that tells the biblical story of Joseph and his devious brothers. It’s a classic parable with a score that offers a cornucopia of different musical styles. Joseph’s triumphant return to the family is a tale of forgiveness and love. Not suitable for those under 7. Throughout Truth & Vision: 21st Century Realism, visitors can deeply engage with selected work on a Slow Art Tour. 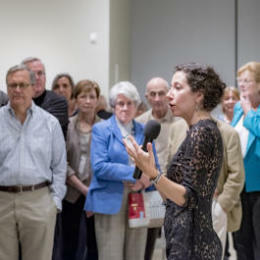 Slow Art Tours at the Delaware Art Museum encourage people to look at art slowly and experience art in a new way. Visitors are invited to explore different perspectives through viewing and discussing art in the galleries.